Jean Hollis Weber has over 35 years of experience as a scientific and technical editor, writer and publisher. She has written or co-authored a number of books. Jean is currently the leader of the LibreOffice documentation team. Jean Hollis Weber was elected as team leader by the LibreOffice documentation team earlier this year. She was a former Co-Lead of Documentation at OpenOffice.org, where she contributed for 7 years. 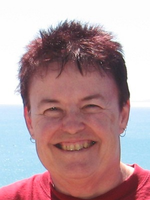 Jean has over 35 years of experience as a scientific and technical editor, writer and publisher, mostly in computing and high-tech industries. She has written or co-authored a number of books, including the award-winning Is the Help Helpful? How to create online help that meets your users’ needs. She runs several websites, including ones for technical editors (jeanweber.com), travellers to Australia (avalook.com) and users of LibreOffice (taming-libreoffice.com). Jean is an officer of the Friends of OpenDocument Inc, an Australia-based not-for-profit association with members around the world. In her spare time, Jean is a science-fiction enthusiast and an activist for various humanitarian causes.